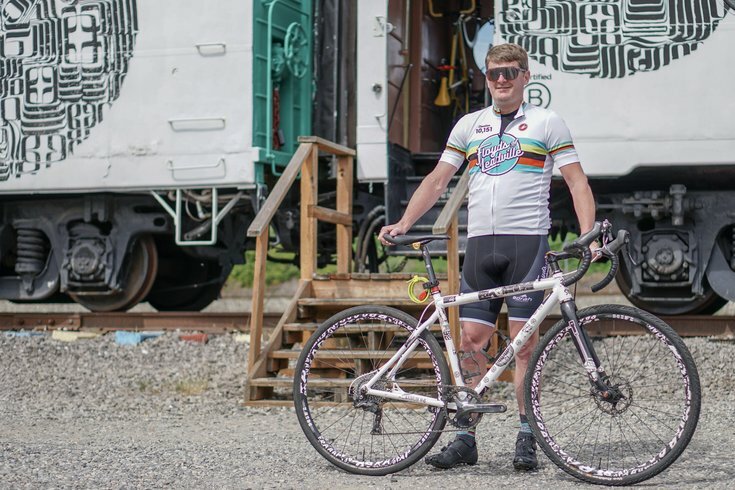 Floyd Landis is bringing his CBD company, Floyd's of Leadville, to Lancaster County with a cafe and bike shop. Floyd Landis, the former pro cyclist who won a Tour de France before being exposed for doping, and who later played a prominent role in exposing teammate Lance Armstrong’s doping, is bringing a combination bike, coffee, and hemp product shop to Lancaster County. Landis, who was born in Farmersville, Pennsylvania and attended Conestoga Valley High School, founded a cannabis company in Colorado called Floyd’s of Leadville. The company focuses on legal CBD products, like soft gels and oils. And now, with Pennsylvania submitting a plan to open commercial hemp cultivation (and recreational marijuana potentially on the horizon? ), Landis is turning his attention back to his home state. The shop, which will be called Floyd’s of Lancaster Cafe, is expected to open this spring. In effect, it will be three pieces in one place. The cafe will serve coffee and small plates, and also feature the full array of Landis’ company’s CBD products. Near the cafe, a “mini-shop” will be dedicated to an eBike range, both as part of a sponsorship deal for Landis’ pro cycling team and as a way to improve access to sustainable transportation, according to a release announcing the shop. “It’s Landis’ hope that Floyd’s of Lancaster Cafe and his purchasing initiative will provide a positive economic force centering around hemp, cycling and a more sustainable agriculture for the Pennsylvania community," the release said. Landis famously finished first in the 2006 Tour de France before being stripped of the title because of elevated testosterone levels. In 2010, Landis led the charge of doping allegations against Lance Armstrong and the U.S. Postal Service racing team.